Put on the Arc'teryx Atom LT Insulated Pullover Jacket when you,re done breaking trail, and trap all that warmth you've spent the last hour building up. 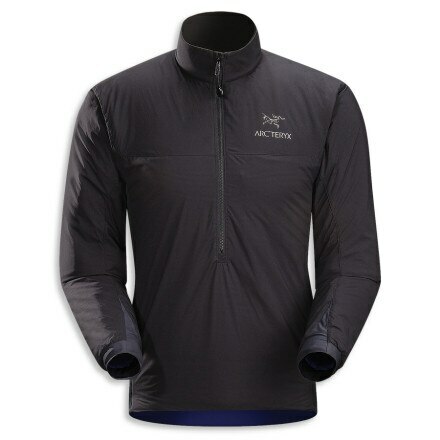 The Arc'teryx Men's Fission SL Insulated Jacket is a no-nonsense insulated shell that sports Gore-Tex Pro Shell for guaranteed waterproof protection and laminated ThermaTek insulation that won't shift around and create cold spots. Lightweight and ultrapackable, the Essential Run Vest II boasts windproof and water-resistant protection, and side stretch panels for a better fit and breathability. The low-bulk warmth of PrimaLoft One in the Mercury Vest makes it a terrific insulating layer-perfect for keeping your core warm on blustery days. The North Face Jakson is a technical hybrid jacket built for backcountry layering with thermal-mapped PrimaLoft Eco insulation and an integrated avalanche transceiver strap system. Superlight and superwarm with FlashDry thermal insulation, The North Face Blaze Full-Zip Jacket packs down incredibly small, and stows in its own hand pocket for compact, on-the-go transport. With an athletic fit and two-way stretch, Helly Hansen's Alpha Jacket provides skiers the ultimate in dynamic movement. The sporty men's adidas Terrex Swift Primaloft Jacket is constructed with warm PrimaLoft insulation and a dynamic Formotion fit for enhanced comfort during fast-paced mountain sports. Featuring Columbia's Omni-Heat thermal reflective lining and the lightweight warmth of synthetic insulation, the Shimmer Me Timbers Hooded Jacket keeps the shivers away on cold winter days. 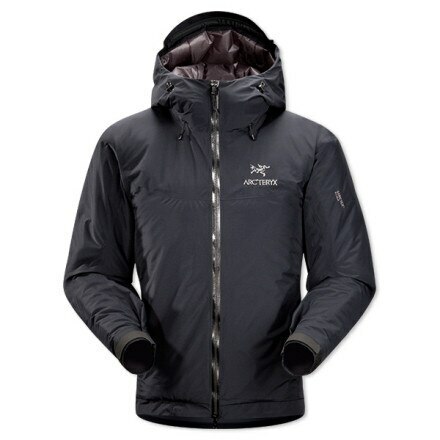 Marmot's Trient confronts winter wind, snow, and cold with waterproof, breathable MemBrain Strata and toasty Thermal R Eco synthetic insulation so you stay dry and warm. The North Face Mountain Light Insulated Jacket is an all-around, waterproof, breathable Gore-Tex jacket with 100 g PrimaLoft Eco insulation for toasty warmth. A durable stand-alone jacket or a terrific insulating layer, the Mercury Jacket won't let you down this winter, whether you're running errands or the Presidential Traverse. Lightweight, waterproof, and warm, Mountain Hardwear's Gravitor Jacket was designed with the technical features you need for alpine performance. Whatever the conditions that you face, the waterproof Cassius Triclimate Jacket from The North Face will adapt. Insulated with warm, quick-drying PrimaLoft Synergy, the Titan is ideal for warding off the cold weather, whether you're in the middle of the city or on top of a mountain.